Exercise is one of the most important parts of your life, as in this fats paced technology driven era, it is the only natural way of keeping fit and living a healthy lifestyle. One of the most engaging inventions when it comes to exercising is an indoor exercise bike. 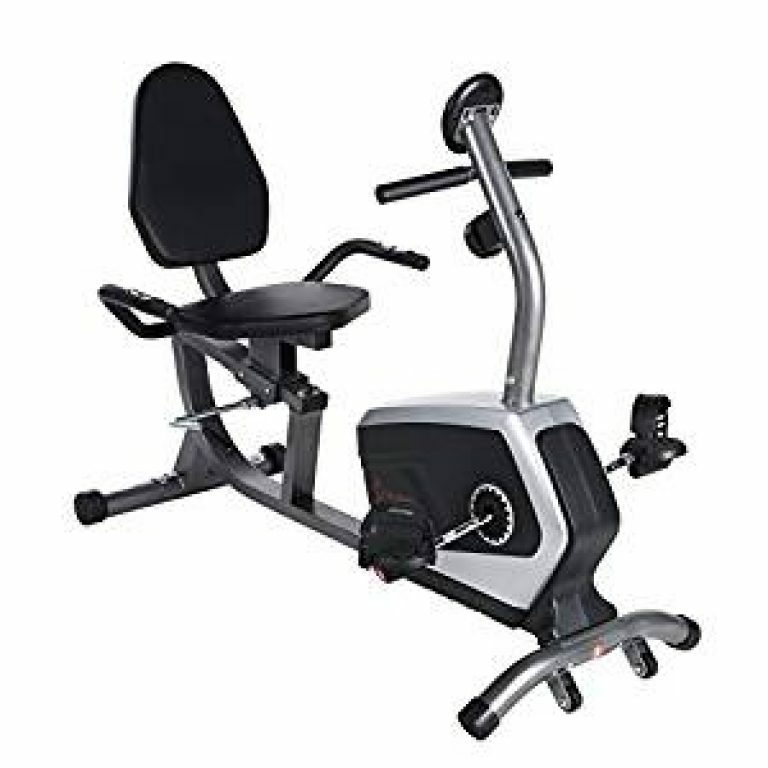 With tons of recumbent indoor exercise bikes in the marketplace these days, you might find it exceptionally difficult to choose the one which can be perfect for your body type, and your workout routine. 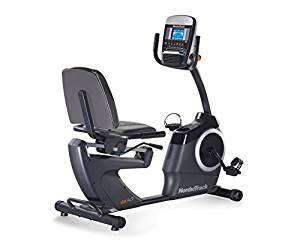 One of these recumbent bikes which is being liked by most of it’s users for it’s amazing functionality and economical pricing is the Marcy ME-709 recumbent exercise bike. This exercise bike has been created by a firm, which has been rising in popularity for the last few years, because of the amazing products they have produced. The ME-709 is one of it’s best, and it offers the customers with a lot more than just cheap pricing. An amazing console, different levels of resistance, easy-to-use pedaling system and such functions are what makes this bike an amazing option for every exercise fanatic out there. Apart from that, this bike has a light-weight framework, which allows you to carry it along wherever you go. Moreover, the size is efficient enough to fit in your home, and your workplace as well. Let us discuss some of it’s main features as well. One of the most liked features of this amazing exercise bike is that it has a step-through design, which make sit incredibly easier for users to climb onto this bike, and start their exercise session. This means that users do not have to extend their legs, which can be unsafe at times, especially when you are working out near any sort of furniture or such decorum. Moreover, the structure of this recumbent exercise bike is sturdy and durable, which increases its longevity as well. With 8 different resistance levels, people have the capability to increase their workout intensities as they spend more and more time exercising on this bike. This allows them to become better with each passing day, and can also help them in improving the shape of their body overall. On top of this, the users can very easily operate the resistance levels, and through understanding it properly, they have the ability to manage their daily resistance levels, according to the type of workout sessions they would prefer at that time. The LCD monitor which has been equipped in this bike is amazingly clear, and can show you all your progress which you have made. Apart from the progress, it helps you in keeping a track of your heart rate, which in return informs you about the intensity of the workout session you are going through. 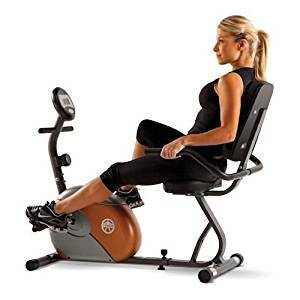 Padded seating is one of the most important features of this recumbent exercise bike, and the most liked as well. This type of seating is very comfortable, and it allows you to easily manage your weight over the machine. Moreover, it keeps you cool in summers, and does not put much stress on your back. Last but certainly not the least, the pedaling system which has been installed in this bike is very effective. The weighted pedals allow users to have a comfortable and smooth experience, every time they start their workout; in order to make sure that they do not feel much stress on their ankles. It has a step-through design, which allows users to easily climb the bike, without having to extend their legs. The LCD display is amazingly clear, and it can show all the track record or your progress, which you have made since your first exercise session. The padded seating is very comfortable, especially people who cannot sit at one place for a long time. The pedaling system is exceptionally comfortable, and it does not put much stress on you’re ankles. Users think that the resistance levels are less, and after a certain point, the exercise machine does not offer as much effect as it should. According to some users, the digital metre is flimsy, and it might break off if it is not handled with ‘more-than-needed’ care. When it comes down to buying an amazing exercise bike, especially a recumbent one, you need to make sure that you have all the features and the drawbacks clear in your mind. When we talk about the Marcy ME-709, one of the biggest advantages you can be rewarded with is an exceptionally low pricing range, compared to those of it’s competitors. The users like this exercise bike because it can offer way more than just exercise opportunities. This bike allows you to track your progress, and even get a better body shape in the long run. The amazing resistance levels can be used to intensify your workout, and then make sure that you can improve as the time goes by. The only drawback which people might think this exercise bike has is that the digital metre is not as sturdy as it should be. People think it is a bit flimsy, so they have to be extra careful with it. Apart from that, this bike offers everything you would need to pursue a healthier lifestyle. Hence, choosing this exercise bike is certainly worth considering.